In a recent study, 79% of people said they were convinced to buy an app or piece of software after watching a brand’s video. And 96% have watched an explainer video to learn more about a service or product. YouTube is the world’s largest video platform, with over 1.9 billion users each month. That’s a lot of potential viewers for your videos. With YouTube, you can get in front of a massive community of users- for free. The platform also gives you the opportunity to analyze the performance of your videos with access to basic analytics. You can study your traffic sources, subscribers, demographics, and more. 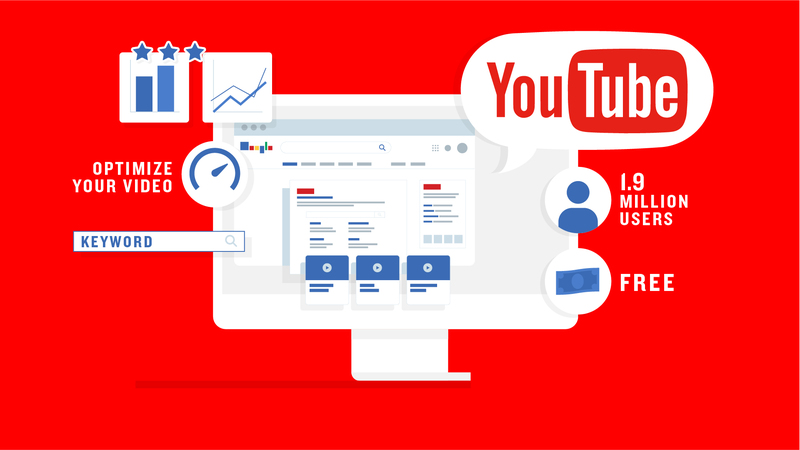 YouTube is now the second largest search engine on the web, and it stands out from other platforms due to its SEO capabilities. You can optimize your title, thumbnail, description, transcript, tags, links, and call to action for SEO, helping attract new prospects within the platform. Keyword research is easy with YouTube, and you can simply type in a word or phrase to see a list of related keywords you can use for your video. 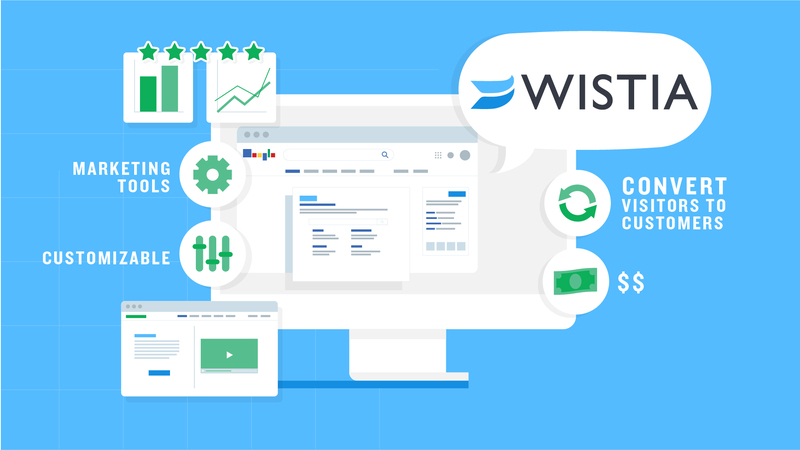 Wistia is business-focused and can integrate with some of the most popular marketing tools like Pardot, Marketo, and HubSpot. Unlike YouTube, Wistia helps you drive traffic back to your website- where you can more easily convert visitors to customers. You can also use Wistia to embed videos on your landing pages, ensuring that viewers won’t need to leave your site. This video platform has some of the best analytics around. Along with the same basic insights provided by YouTube, Wistia provides you with in-depth analytics that allows you to track your engagement in detail. These include heat maps, so you can see what viewers are doing while your video is playing, including when they skip or rewind your videos. You can even see which types of devices your viewers are using, their IP addresses, email addresses, how much of your video they watched, and when they clicked on your links. 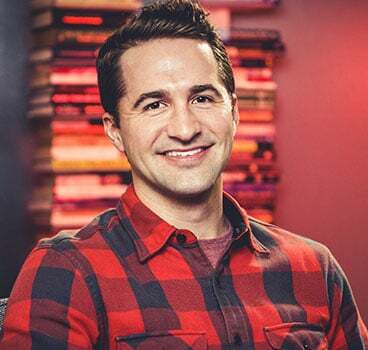 Wistia is attractive, responsive, and you can trust that your videos will play- no matter which browser your viewers use. This platform can be completely customized, and videos are easily embedded and shared, making it a particularly good option for SMBs. Wistia has a free option, however, this comes with a 3 video limit and your video player will be Wistia branded. The pro version is $99 per month (no Wistia branding), which is excellent value for money considering the available analytics. Vimeo’s is arguably the most attractive video player on the market. Vimeo is known for its high-quality content and has created a large community of videographers, indie filmmakers, and artists who use the platform to showcase their work. 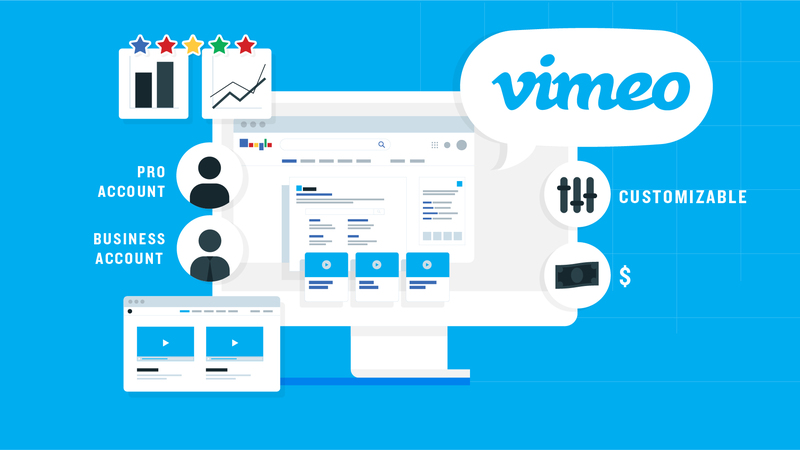 These features make a Vimeo Pro account an excellent option for freelancers (from $20 a month). Vimeo’s video player can be completely customized, from the logo to the size, color, and playbar. 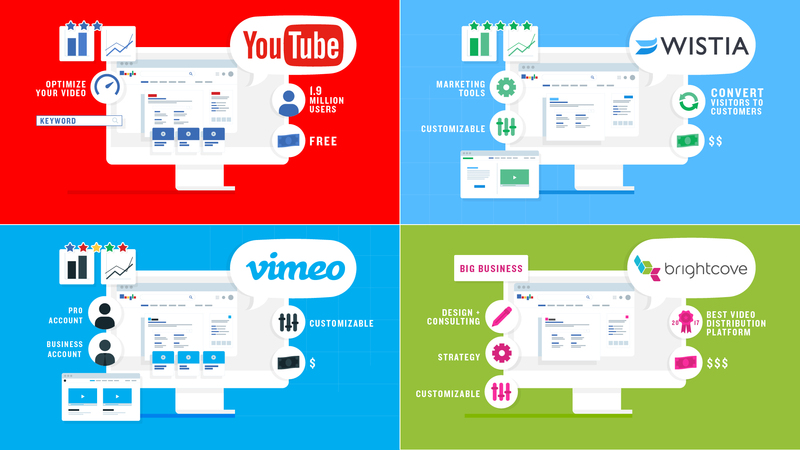 Larger companies can now choose a Vimeo Business account from $50 a month. 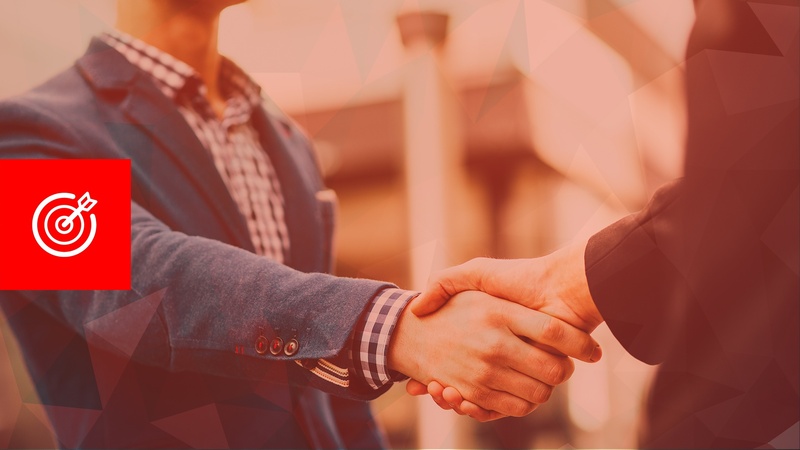 With a business account, you can capture emails for lead generation, integrate Vimeo with email marketing software, get VIP support, and sync with Google Analytics. Brightcove won the 2017 award for Best Video Distribution Platform at the Digiday Video Awards, which recognizes the most inspired and outstanding work in the industry. While Brightcove is a video platform, the company also offers a range of services from design, strategy, and consulting to streaming and live content. 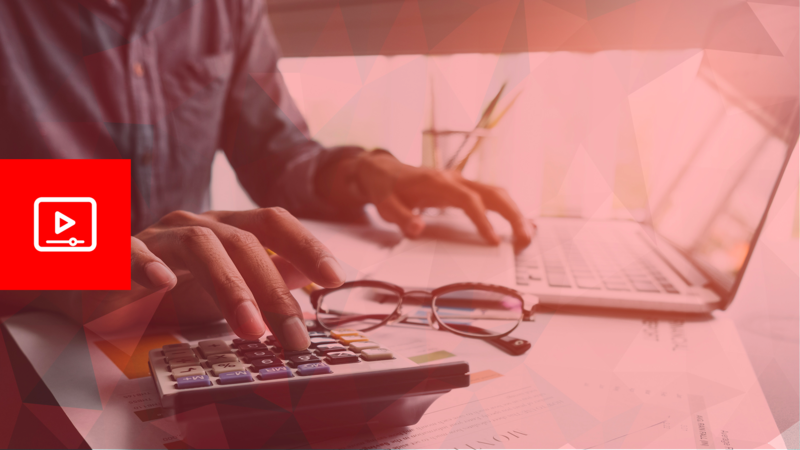 Brightcove allows you to monetize your content with video ads and offers features like geo-targeting, HTML customization, cloud video storage, and A/B testing. While this video platform has a robust arsenal of features, some of those features have a steep learning curve. Since Brightcove’s interface isn’t the most intuitive, the average SME or freelancer is likely to prefer one of the above platforms instead. However, it’s still an excellent option for large enterprise companies, massive media outlets, and businesses that need to manage many assets. 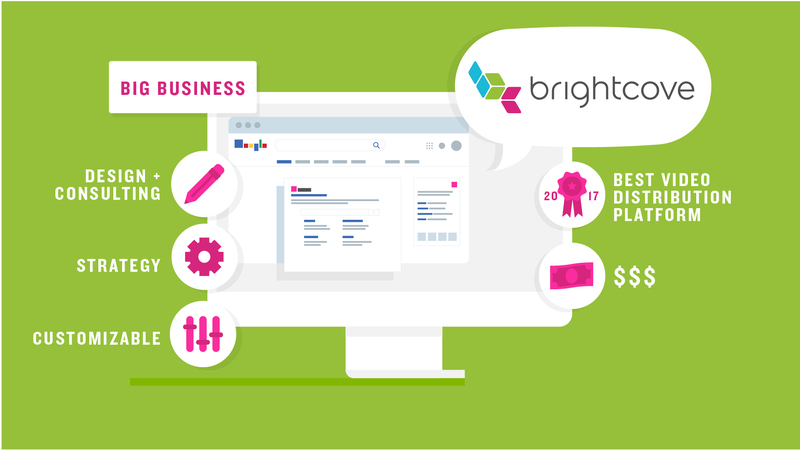 Brightcove pricing starts at $199 a month depending on your needs. As you can see, there are many excellent options if you’re looking for a video player for your business. The best choice will depend on the size of your business, your marketing strategy, and your goals. If you’re not sure which platform is right for you, we can help. Get in touch today to learn more.